This last August we had the privilege to attend one of the biggest Adobe conferences in Las Vegas, the Photoshop World. For three days, we learned new tricks in Photoshop, from retouching, to Illustrations, to special effects, brand new Adobe apps and much more from the world's very best professionals and instructors in the design field and we got to meet and shake hands with the one and only Bert Monroy! Not only this but I got experience all of this with 6 of my good friends from my design program at LWIT. This was a very special trip with my dear Irina Elsto, we didn't know if after this trip we would still like each other, but we were wrong, our friendship has gotten closer and now I love her even more. I can't wait for our next trip together! We cried, we laughed, we got dehidrated, we experienced what August in the desert is (not recommended), we saw Shania Twain live, we learned a little bit about the Mormons, we had starbucks every day and we learned that a thermo water bottle might be a good idea for next time, we witnessed some of the most beautiful landscapes in the US and we made friends with bison. -Tuesday-Thursday: Photoshop World in Las Vegas at Mandalay Bay. Thursday night: we rented a car and started driving towards Zion National Park. The first hike we did was The Narrows and it's the very last stop of the Shuttle. Shuttles are free and drive up and down very frequently. This was a very easy hike and one of the highlights of our trip. The Narrows is the narrowest section of Zion Canyon and is one of the most popular areas in Zion National Park. 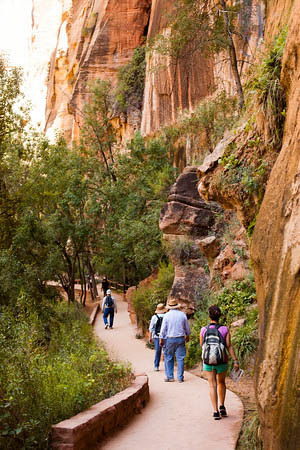 You can see the first part of the Narrows by hiking along the paved Riverside Walk for one mile from the Temple of Sinawava. 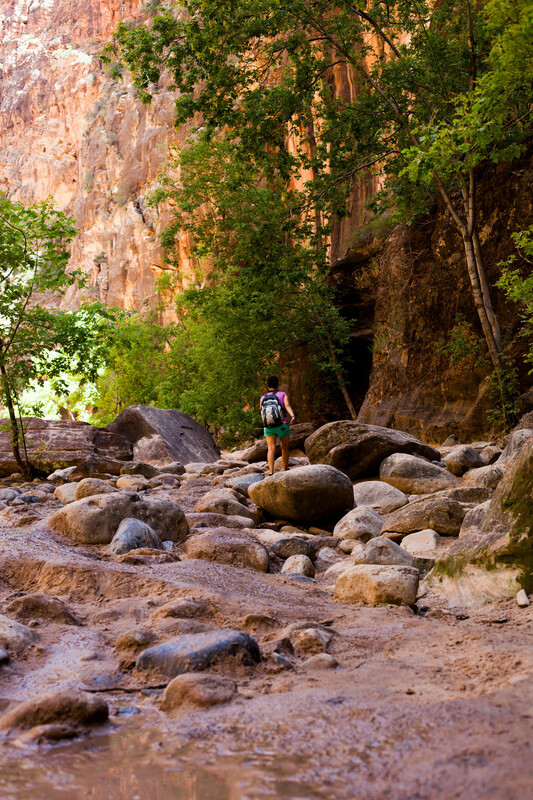 To see more (which we HIGHLY recommend) you need to walk the Virgin River. 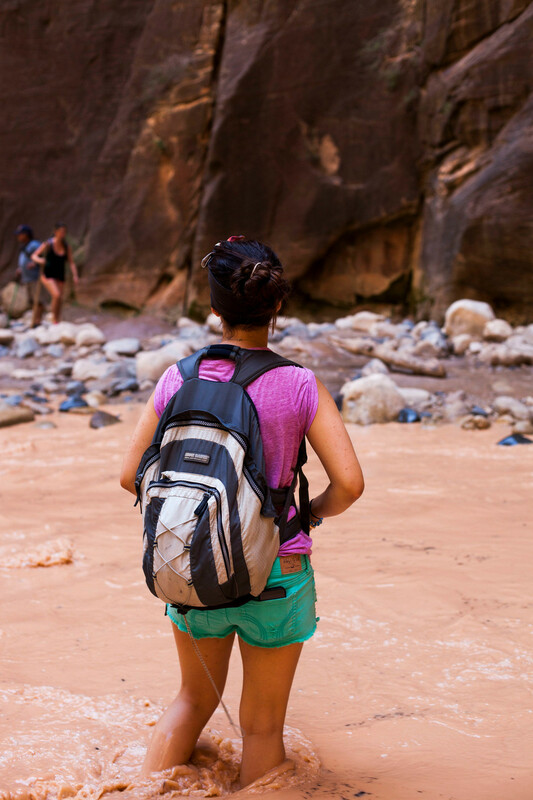 We walked the Virgin River for hours, first we took our shoes off and started walking but soon we realized it was a bad idea since we couldn't see where we were stepping and we were hiking very slow. That's what I meant about the naps here and there. Since we started planning this trip, we knew we were going to go to Salt Lake City and see Shania Twain perform. I missed her when she came to Seattle so I had to take this chance. So after a long and fun day of hikes at Zion we started driving up north until we got tired and we continued the rest of the driving the next morning. When we got to Salt Lake city, we stopped at Antelope Island State Park; a land-locked island of myth and bison. This place is a must-see, we had a very relaxing time driving and walking around all this beauty! We spent the rest of the day at Salt Lake City and visited the Mormon Temple Square, and did a tour to learn more about them and their faith. We met a few missionary Sisters that were really nice although I gave them my cellphone number and to this day, they still call me. We went to see Shania Twain that night and it was incredible, so much fun and I finally made one of my many dreams come true. I've been a fan of her since I was a teenager! Credits: Irina Elston for some of the beautiful pictures she took!